It's certainly been an exciting twenty four hours - if you haven't been following the news, we now have over a gigabyte of Wing Commander Arena preview videos in our archive! 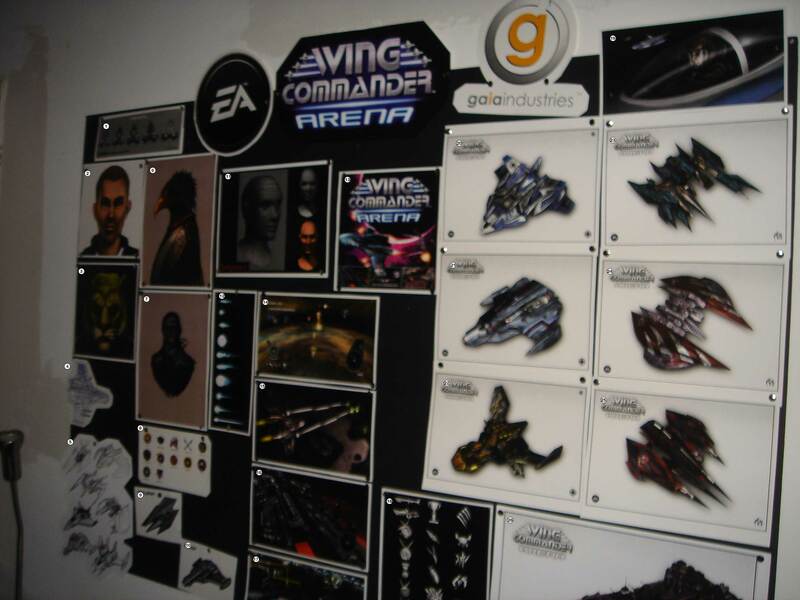 Today we're looking back at some other exciting news from the past week - the Arena concept art seen at the Gaia Industries office. First of all, GamerTag Radio has posted a YouTube video of the Street Trace: NYC preview event. It includes a few seconds of the 'Arena board', which we've cut out and put online here (584k, AVI). 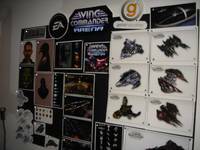 It's blurry, but you get an impression of how the artwork is layed out. Next, we've put together a speculative list of everything on the board - you can identify individual pieces using the numbers attached to the first image. 1. Arrow upgrades concept art. 2. Confederation pilot concept art. 3. 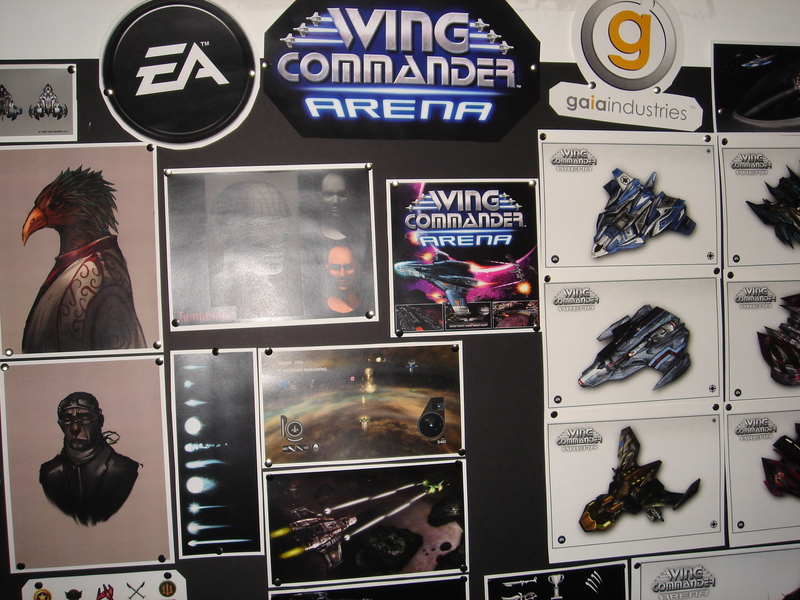 Kilrathi pilot concept art. 5. Sketches: Paktahn, Gothri, Darket, Centurion, Dralthi, Rapier, Broadsword. 6. Firekkan pilot concept art. 7. Mercenary pilot concept art. 11. 3D head test renderings. 19. WC2-style cockpit cutscene test rendering. 20. F-27 Arrow final rendering. 21. F-44 Rapier II final rendering. 22. A-17 Broadsword final rendering. 24. Dralthi IX final rendering. 26. Terran Battlecruiser final rendering. Unnumbered: Wing Commander Arena logo.